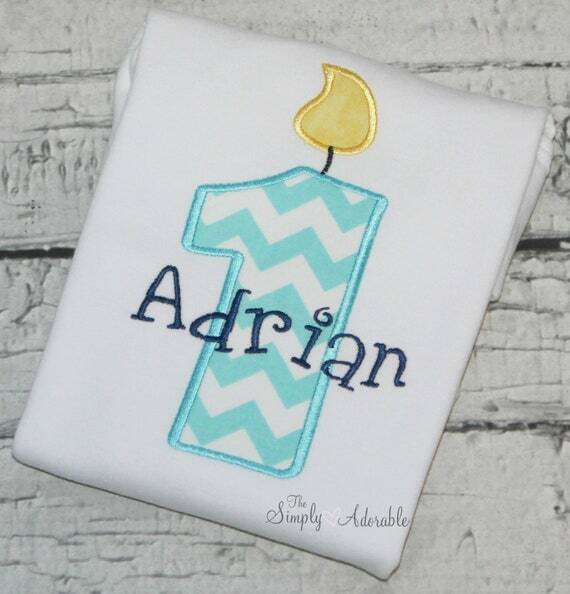 Boy's Personalized Birthday Shirt- This adorable shirt features your child's age as a candle. Customize the design with your choice of fabrics and fonts shown in the photo gallery. All order info, including any details discussed by messages, must be included in the box underneath "Add Your Personalization" at time of ordering to avoid a delay in processing your order.